I tried on my LBT and while I'm content with the circumference (not too wide at all and it's nicely drapey), I was rather concerned it was shorter than I was expecting. 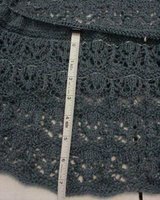 However, I think I've decided I will lengthen the St st portion so the bust line will be where I want it and consequently address the lace length issue. And out of curiosity, I asked a friend who speaks & reads both Cantonese & Mandarin to tranlate the Chinese LBT blog post, well the pic at least. It basically said it was the Lotus Blossom flower pattern in 100% cotton "thread" (probably yarn?) 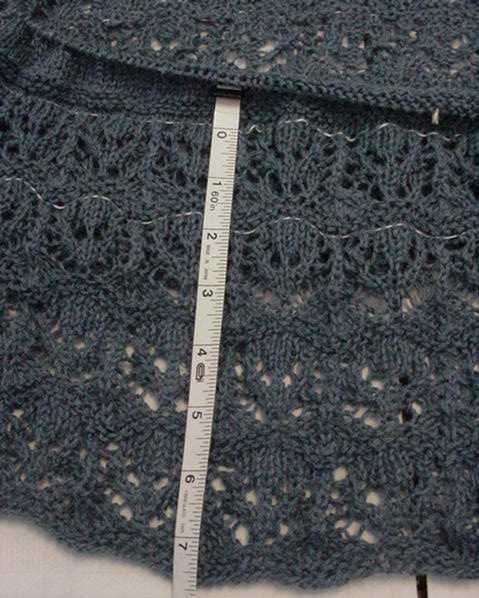 and she used 5 and 5.5 mm sized needles, but I'm sure everyone's already figured out the needle size part. Edited to add: My friend also tells me the blog entry discusses how she felt about her accomplishment.